Agricultural Program Manager | CCOF - Organic certification, education and outreach, advocacy and leadership since 1973. Sweet Farm, a 501(c)3 non-profit, located south of Half Moon Bay, CA along coastal Highway 1, educates, inspires, and facilitates positive and sustainable change through individual's everyday choices. We provide a loving, lifelong home to over 100 rescued farm animals and sustainably grow heirloom plants and flowers on 12 acres of coastal farmland located in the heart of the Bay Area. Our CSA program provides plant-based weekly meals to families throughout the Bay Area. We maximize our impact at a global scale by utilizing our proximity and connections to Silicon Valley investors to help humane and sustainable start-ups find funding and mentorship to support them in their mission to build technologies that change the world. The Agriculture Manager is a key role in driving impact at Sweet Farm. This role is the planner, manager, supervisor and primary implementer of the foundation’s agriculture program, including its CSA Program, volunteer program and on-going agriculture-based education initiatives. This role is responsible for the planting, weeding, irrigation and management of the produce and flowers grown on the farm employing organic and permaculture practices in a way that drives the foundations goals of educating the public on how to make the world a humane and sustainable place. Selection, planning and planting of the fruits, vegetables and flowers for the heirloom plant program designed to support and complement the farm’s CSA programs and events. Management of seasonal and day-to-day farming operations based on organic and veganic practices, maintaining a balance of production needs and providing a pleasing experience for tours and events. Lead and manage planning, propagation and greenhouse work, crop planning, planting and rotation, soil fertility, composting, harvesting, post-harvest handling, irrigation, pest and disease control in a manner consistent with Sweet Farm’s sustainability and veganic goals. Work with foundation staff to accomplish big events including community building and fundraising events (monthly Member Days, annual Harvest Moon Festival, etc.). Develop and grow the agriculture program’s base of volunteers, including training, support and supervision in tasks that provide meaningful value. Order and receive farm equipment and supplies necessary to maintain the agriculture program. Maintain the agriculture program’s irrigation system, tools, fences and workspaces in good repair and in a safe and orderly fashion. Provide training and supervision to agriculture interns and seasonal employees. Assist Development Director with writing LOIs, grant proposals and reports. Conduct targeted research to identify new institutional funders and help grow the existing portfolio of funders. Assist in the preparation and monitoring of department budget. Assist in screening and hiring of potential employees. At least 2-5 years of organic farming production and permaculture including crop planning, greenhouse, irrigation, cultivation, pest and disease control, harvest and post-harvest handling, CSA/market, and cover crop experience. Farm and crew management experience strongly preferred. Strong facilitation and group management skills, especially in an outdoor education setting. Knowledge of and experience with vegetarian and vegan diets, and farm animal welfare issues. 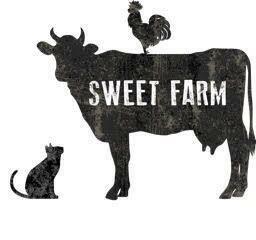 Demonstrates a commitment to Sweet Farm’s animal care and agriculture policies, organizational programs and goals. Passion for building community and deep relationships through food and agriculture. Positive, creative, flexible, and takes initiative. Ability to work independently, in team setting, and in fast-paced, dynamic environment. Completes tasks successfully and within specified deadlines – demonstrates strong time management skills implementing programs on time and on budget. Ability to handle multiple programs/projects at once; strong organizational skills and attention to detail. Good communication skills: verbal, written, electronic and with a variety of audiences. Highly competent in use of computers and necessary technology on a daily basis; additional software experience a plus (salesforce, farm management tools, social media). Physically fit to meet the demands of working on farm with youth, experience/ability to dig beds by hand and the ability to lift 50lbs. Utilizes and can exemplify tools or strategies for maintaining self-care and personal well-being. Willingness to work non-traditional hours, including evenings and weekends as farm/programs demand. Valid California Driver’s license and vehicle for personal travel.